It’s the first day of April and my Christmas Cactus is in full bloom. 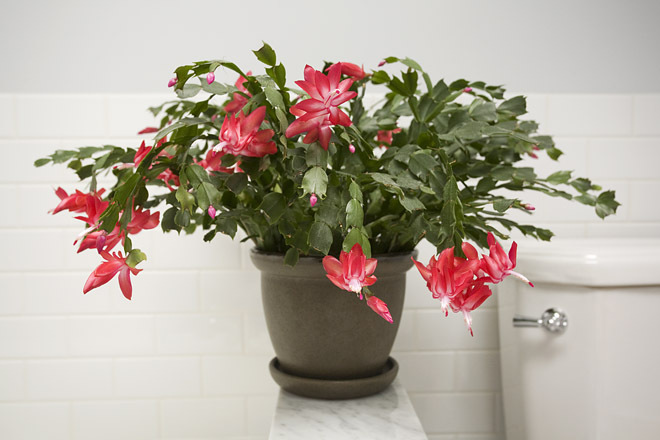 It didn’t bloom at all in December so I put it in the bathroom, beside the toilet. I’m guessing that it likes the increased levels of nitrogen in its new environment.